4k00:09Three senior ladies at table. Women near cafe window. Tasty coffee and interesting conversation. 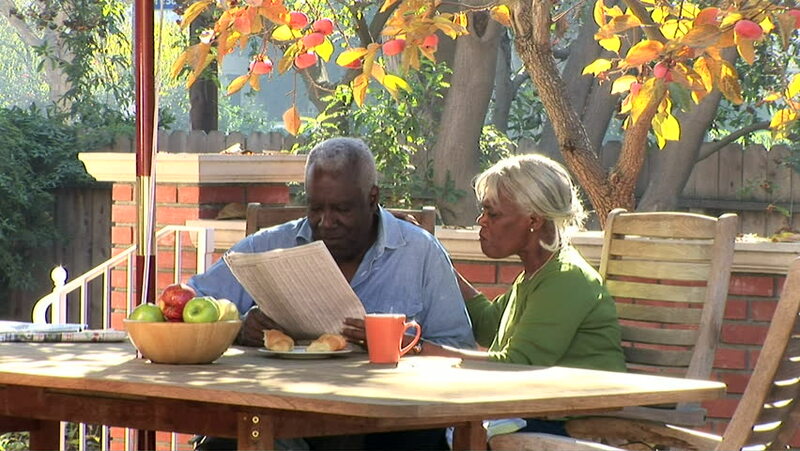 hd00:08Young woman and a senior man with smartphone sitting at the table outside, talking. 4k00:19Senior couple sitting and watering plant together in balcony. Retired old Asian male and female, watering plant together, happy smile. Senior lifestyle concept.